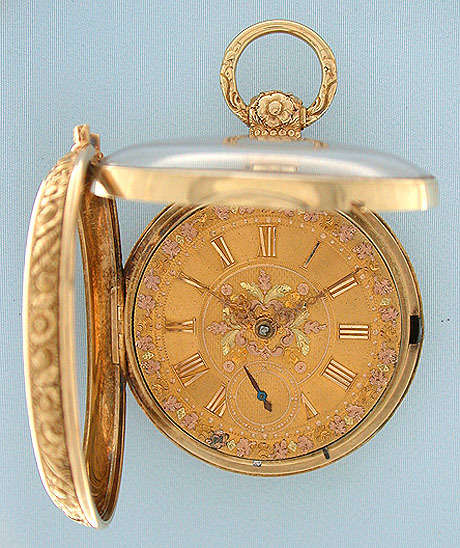 Fine, handsome and unusual 18K gold pair case lever and fusee with auxilliary compensation by Johnson, Liverpool, circa 1830. 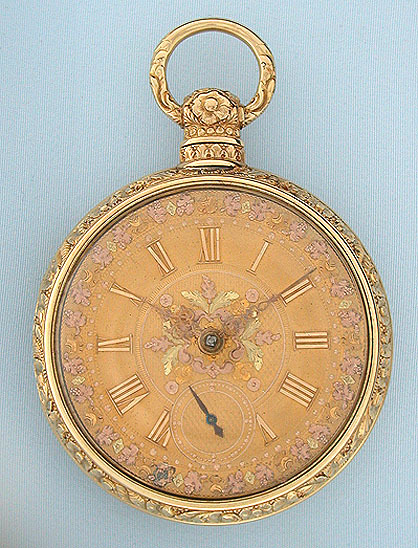 Fancy engine turned gold dial with applied gold numerals and applied floral decorations is various colors of gold. 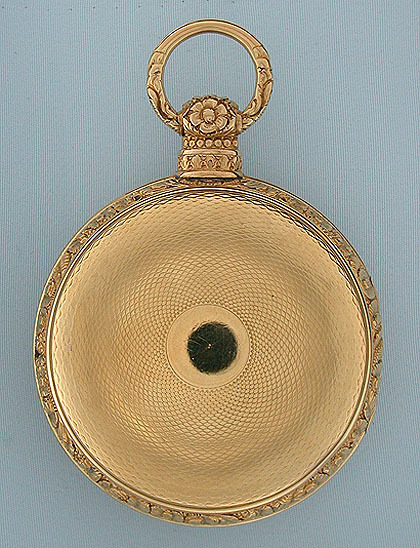 Engine turned case with case and chased bezels and pendant, with slight pocket edge wear. 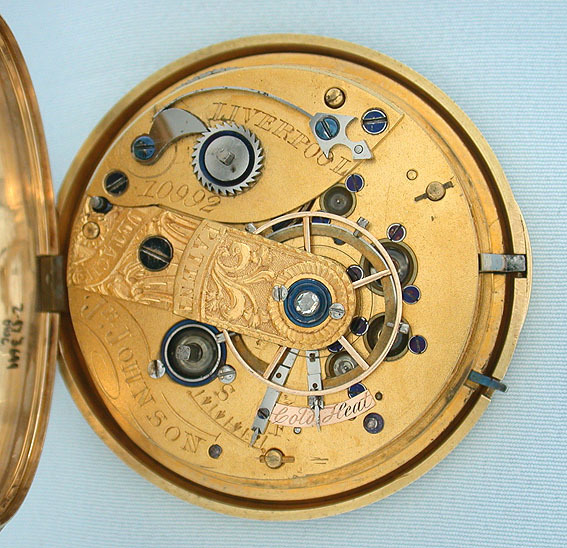 The movement with a diamond cap jewel and "Liverpool windows", large clear jewels in screwed settings. 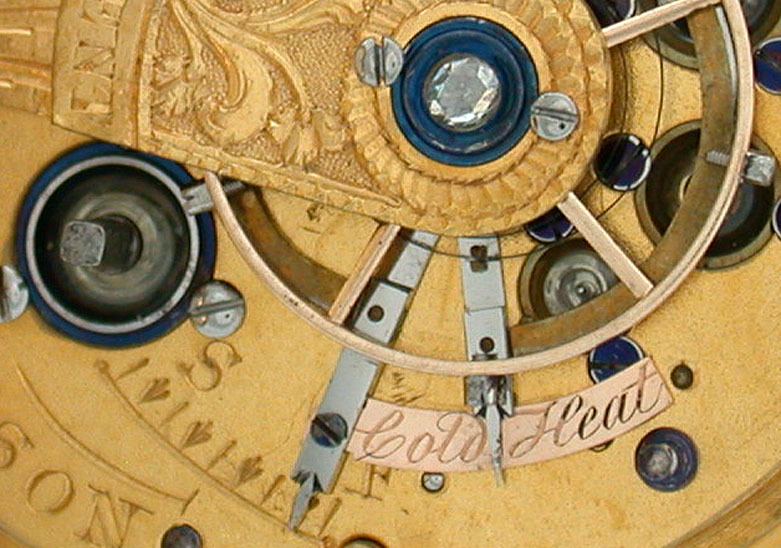 This watch has an uncut balance but is fitted with a circular bimetallic strip mounted under the balance which provides compensation for changes in temperature. Historically technically interesting. 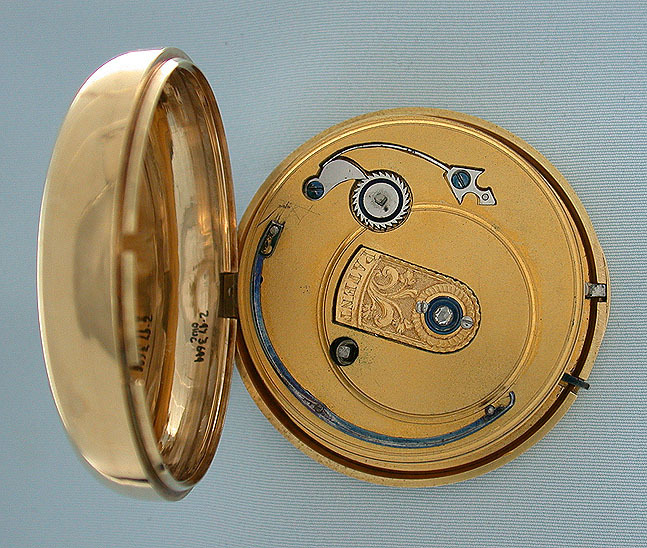 The maker was obviously so proud of this device that it has a separate engraved gold indicator plate.